In the study, published in the journal Nature, the researchers noted that online remains should be viewed in the same way as the physical human body, and treated with care and respect rather than manipulated for commercial gain. To make the commercial use of digital remains more ethical, it is important to regulate the digital afterlife industry, says a team of experts from University of Oxford. From live-streaming funerals to online memorial pages and even chat-bots that use people's social media footprints' to act as online ghosts, the digital afterlife industry has become big business, but the boundaries around acceptable afterlife activity and grief exploitation, have become increasingly blurry, the researchers noted. In the study, published in the journal Nature, the researchers noted that online remains should be viewed in the same way as the physical human body, and treated with care and respect rather than manipulated for commercial gain. The paper suggests that regulation is the best way to achieve this. The guidelines used to manage human remains in archaeological exhibitions could be used as a framework to regulate the growing industry, the researchers said. In recommending a framework for regulation the paper identified four digital afterlife industries -- information management services, posthumous messaging services, online memorial services and re-creation services -- which use a person's digital footprint to generate new messages replicating the online behaviour of the deceased. 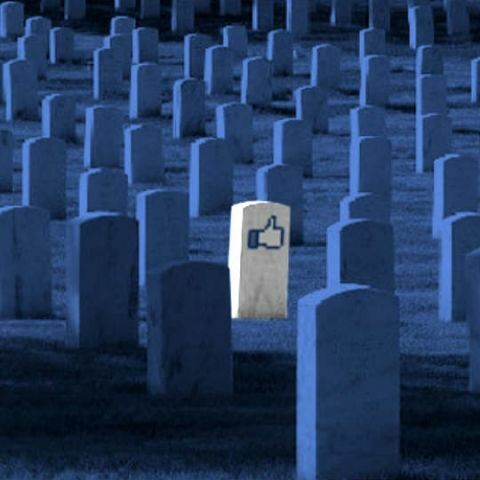 While this service has yet to be adopted by mainstream technology giants, such as Facebook and Twitter, the paper found that the services provide the highest level of online presence post-mortem. It is therefore both at risk of exploiting the grief of the loved ones of the deceased and the greatest threat to an individual's afterlife privacy, the researchers said. "Regardless of whether they are the sole legal owner of the deceased's data -- and irrespective of whether the opinion of their next of kin, with regulation, DAI (digital afterlife industry) firms would have to abide by certain conventions, such as, preventing hate speech and the commercial exploitation of memorialised profiles," said Professor Luciana Floridi of Oxford Internet Institute, an Oxford University department dedicated to the social science of the Internet. Under these regulations, firms would be required to at the very least guarantee that consumers are informed on how their data may be used or displayed in the event of their death. "In developing a constructive ethical approach for the use of digital remains the first step is to decide to what extent, and under what circumstances, our memory of the deceased is driven and shaped by the commercial interests of the industry," Floridi said. "The second and equally important step will be to develop a regulatory framework, commonly adopted, to ensure dignity for those who are remediated and remembered online," he added. which menory card must i buy?